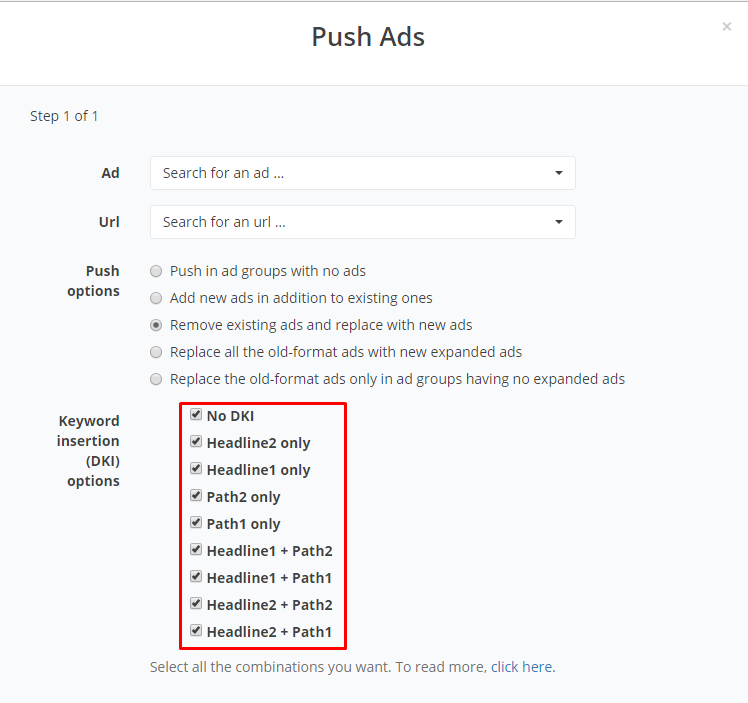 To stop DKI ads and replace them with simple text ads, follow the steps below. Select the campaign which has DKI ads. Click on "push ads". You will see a screen like the image below. 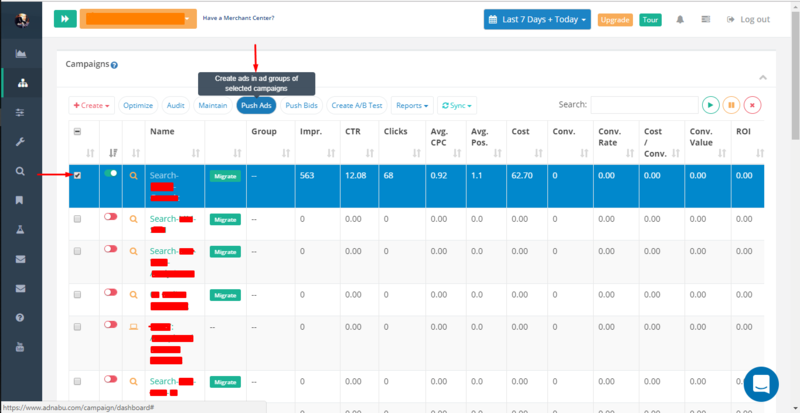 Deselect all the Dynamic Keyword Insertion boxes. The are all selected by default. Hit "submit" at the bottom of the page.